Gennady Golovkin is a Kazakh professional boxer. Golovkin is a former unified middleweight world champion, having held the WBA, IBF, WBC, and IBO titles between 2010 and 2018. He won a gold medal in the middleweight division at the World Amateur Boxing Championships in 2003. 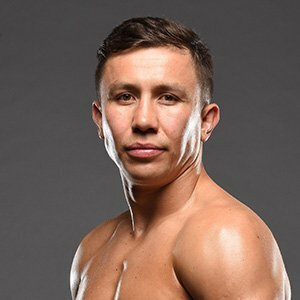 Born Gennady Gennadyevich Golovkin on April 8, 1982 in Karaganda, Kazakhstan, to a Russian father and Korean mother, he has two older brothers, Sergey and Vadim, and a twin brother named Maxim. He received a scholarship with the Olympic Solidarity program in 2002. He turned professional in 2006. Golovkin is married to Alina Golovkina, with whom he has a son named Vadim. *He was born on April 8, 1982 in Karaganda, Kazakhstan. *His father was a coal miner and his mother used to work as an assistant in a chemical laboratory. *He speaks Kazakh, Russian, English, and German fluently. *In 2013, he was named Fighter of the Year by The Ring magazine. *In June 2014, he became the WBA Middleweight Super Champion. *He won his first 37 professional bouts before facing Canelo Alvarez in September 2017. *He stands 5 feet 10½ inches tall and weighs 159 pounds. Had a great time in Barcelona. Thank you for having me @sirinlabs.